COMING SOON!!! 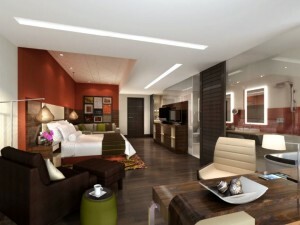 Mövenpick Hotel Colombo, the newest five-star hotel to open in Colombo in 25 years! We’re ecstatic to announce the upcoming opening of the spectacular Mövenpick Hotel Colombo! Our story for the design begins with taking cues from the architectural design of the structure and complimenting the brand’s “Natural Enjoyment” mindset. The design exudes clean and contemporary architectural planes and creates interest by shifting surfaces inward and outward. We introduce three dimensional architecture and highlight the features by using powerful colors and contrasting finishes. We tie cultural influences and juxtapose the architecture with strategically positioning organic reliefs in an unexpected, artistic way including flooring patterns, balustrades, carpets and textiles. Collectively, we created an undeniably bold statement of design and function with modern classic furniture in rich and dynamic materials. For stunning photos and opening information, click here! 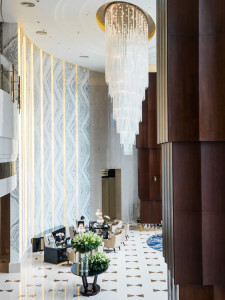 HOTELS Magazine’s “Hot Openings” segment recently featured our St. Regis Hotel project in Chengdu, China. Click Here to discover more about our Art Deco inspiration for this grand hotel!